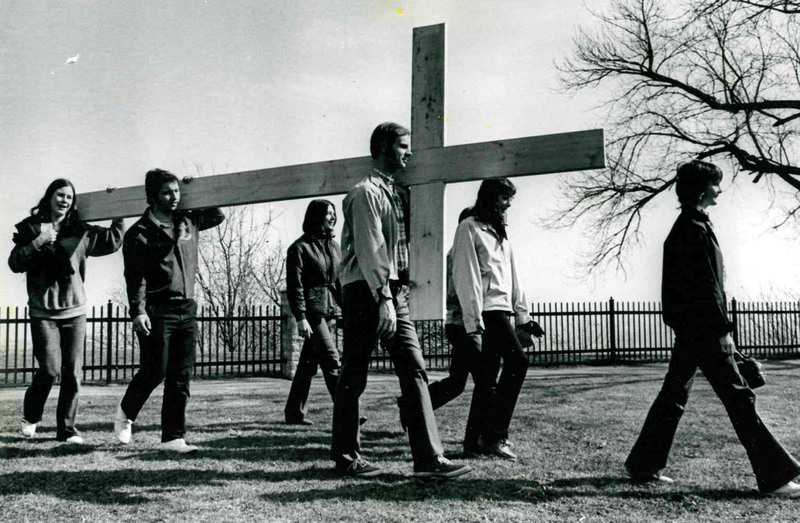 The tradition of the Stations of the Cross has been interpreted in many ways in Hamilton during the Easter season. Above, Rev. 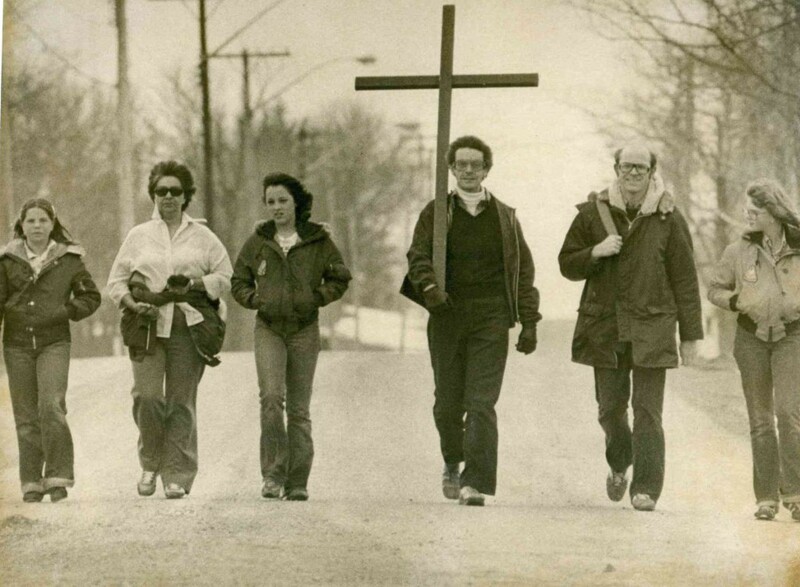 David Lennerton of St. Bartholomew’s Anglican Church carries the cross during a 17-km Good Friday pilgrimage in 1979 to raise funds for missions. Check out the 2015 Good Friday & Easter Weekend events here. 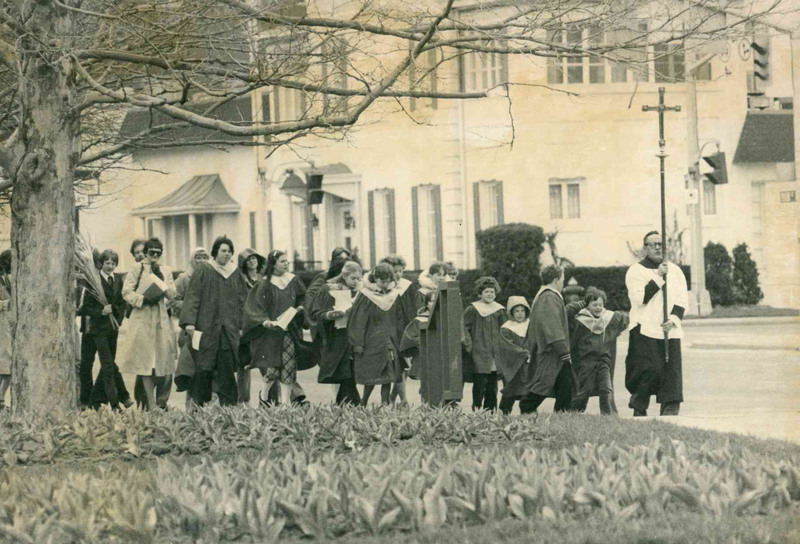 Interested in other Easter Flashbacks from Hamilton? Try these. 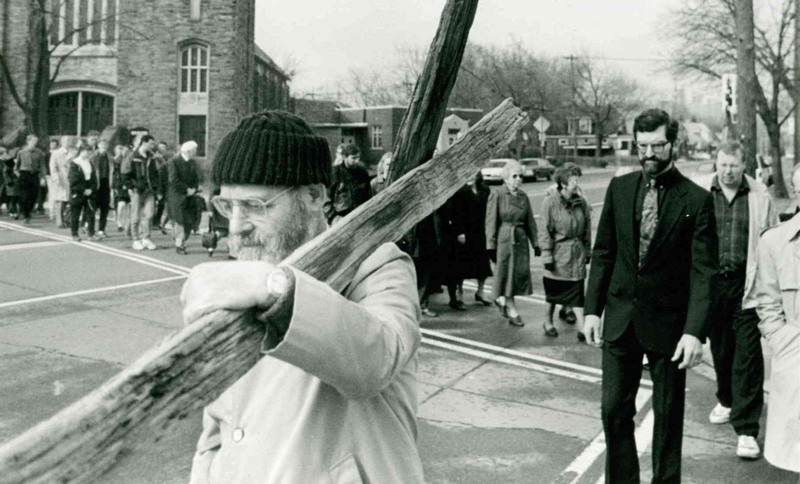 Bert Wreford carries a cross at the head of a Good Friday procession in Westdale from MacNeill Baptist Church to Westdale United Church on North Oval. Hamilton Historical Collection, Undated.